In Japan, it seems as though everything is available from a vending machine. In this case, whisky – Nikka’s Rare Old Super blend, with water added for you. To bring the volume up to 250ml, the watering has been fairy heavy handed which means that the aroma is barely detectable. There’s a hint of whisky but it’s not really possible to tell much more. The flavour, too, is seriously reduced by all that water – there’s no fire to it, but lurking under all that water there’s some definite spirit. 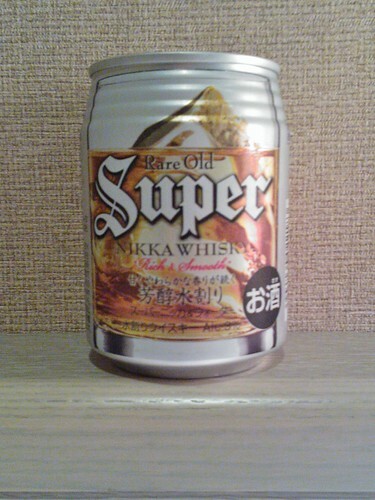 That said, it’s smooth, cool and refreshing and for 250 yen, it’s a nice gentle echo of a whisky.